OKLAHOMA CITY -- Zane Coleman stepped off the podium and started fielding multiple requests. Everyone inside Jim Norick Arena wanted to snap a photo with the newest member of the four-time state champion club. The Choctaw senior joined the exclusive membership with a 1-0 victory over Broken Arrow�s Bryce Mattioda, making it 37 wrestlers to be share the lofty accomplishment. Finishing as Class 6A�s Most Outstanding Wrestler of the state tournament capped Coleman�s career and wrapped up a 41-1 season. He�ll soon depart for Tempe, Arizona, where he�ll join the Arizona Sun Devils program. The state�s preeminent wrestling program did what it normally does to end each wrestling season: pose with a trophy to memorialize another team championship. For Perry, that�s now 43 team championships. The closest to the Maroons? Tuttle and Midwest City with 16. Smith picked up one of three individual championships for the Maroons. Smith beat Walters� Remington White, 4-2, to capture the 113 title. Dylan Avery (132) and Hadyn Redus (152) claimed the Maroons other two championships. - Smith, DePron lead Bridge Creek: The Bridge Creek Bobcats had waited long enough, so Kolton Smith made sure to make quick of his opponent. Smith, at 126 pounds, pinned Marlow�s Anthony Orum in 58 seconds to claim Bridge Creek�s first individual championship. Then Kolby DePron followed at 145 with another title, picking up a 10-8 victory over Geary�s Landon Holt to double up the Bobcats� hardward in one evening. - Marlow finishes second: Perry was too far out of reach, but Marlow still made plenty of noise in the championship matches on Saturday night. Tyler Lawson (106) picked up a title with a 6-2 over Vian�s Braylen Rodgers, and Kobey KIzarr pinned Pawhuska�s Price Perrier at 6:57 to pick up the Outlaws second title. Perry topped the 3A leaderboard with Marlow in second place with 91 points. - Other 3A titles: Vinita�s Alex Prince won the 120 crown with an 8-3 win over Newkirk�s Dayton Cary. Sperry�s Bryce Carter beat Comanche�s Cade Cook 6-4 at 170 pounds. Blackwell�s Drake Barbee (182) pinned Inola�s Brody Jenkins at 2:33. All three became first-time champions. Checotah�s Cade Shrosphire beat Marlow�s Tyler Lavey, 3-2, in an ultimate tiebreaker. Vian�s River Simon (182) pinned Perry�s Kohl Owen at 3:41. 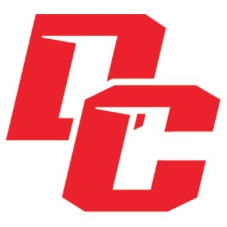 Comanche�s Konner Doucet picked up a 15-0 technical fall over Berryhill�s Nico Lopez for the 220 crown, and Davis� Cooper Webb won the heavyweight crown by pinning Perry�s Teaguan Wilson at 1:20. All four became repeat champions. It was the second for Shrosphire, Simon and Webb, and Doucet picked up his third in three years. He�ll attempt to become a four-time state champion as a senior next season. McLain�s TJ Long put the Titans back on the wrestling map at State Fair Arena. In perhaps the match of the night, Long went back and forth with Tuttle�s Logan Farrell in the 126-pound title bout before ultimately picking up a 12-10 win in sudden victory. It was McLain�s first individual championship since 1977 (Greg Hawkins at 178 pounds). �It sounds like I just wrote my name in the record books,� Long said. Long, last year�s runner-up at 126 pounds, capped his senior season at 36-0. - Tuttle wins again: There was never a doubt -- even before the weekend started -- as to who would claim the 4A championship. Tuttle made it look easy again, claiming 229 points to cruise to its 16th championship in its program�s history. Garrett Steidley (113), Ryder Ramsey (132), Brady DeArmond (145), Luke Surber (152), Plott and Carson Berryhill (195) each picked up individual crowns for the Tigers. Reese Davis (120), Farrell (126), Bryce Dauphin (138), Harley Andrews (160) and Kavan Guffey (182) were all runners-up at their respective weights. -- Cascia Hall sophomore Eli Griffin picked up a 9-1 major decision win over Cushing Luke Ahrberg for his second title in two years. 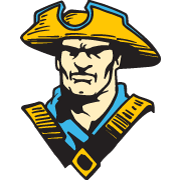 The Commandos have claimed at least one individual title every year since Mike Bizzle won the school�s first in 2002. -- Heritage Hall�s Val Park beat Dauphin 3-0 for his third consecutive championship. He became the school�s fourth wrestler to win at least three individual championships, with Rodrick Mosley being the most recent with his title at 152 last season. -- Cushing picked it first individual championships since 2014. Jacob Ahrberg finished the season 26-0 with a 9-8 win over Tuttle�s Harley Andrews. Gage Hockett followed at 182 and beat Tuttle�s Kavan Guffey 3-2 in an tiebreaker. Hockett finished the season 32-0. -- Bristow�s Luke Fortney pinned Poteau�s Seth Ford at 3:06 to claim the 220 championship, Bristow�s first since 2007. -- Other 4A champions included Wagoner�s Braden Drake (120) and Blanchard�s Ryder Wiese at heavyweight. The pressure was sitting squarely on Korbin McLaughlin�s shoulders. The Skiatook senior needed a victory at 220 pounds for the Bulldogs to have a chance at the Class 5A championship. Collinsville was leading Skiatook 137 to 133, and a win by decision by McLaughlin would be enough to pull the Bulldogs even. Anything better than that would give Skiatook the championship outright, two weeks after celecrating a dual state title in Shawnee. McLaughlin wound up beating Claremore�s Seth Seago, 4-1, meaning Skiatook and Collinsville both left Jim Norick Arena with first-place honors. Collinsville finished with four individual champions, including junior Caleb Tanner (132) beating Skiatook�s Cody Francis, 9-0, for his third title in three years. Two Cardinal freshmen claimed their first titles: Cameron Steed (106) and Jordan Williams (113). Rocky Stephens (120) followed with a title by posting an 8-0 win over Carl Albet�s Jayston Cato. Skiatook sophomore Josh Taylor (126) picked up his second championship in as many seasons with a 9-3 win over Collinsville�s Jordan Cullors. Then the Bulldogs� Cougar Anderson capped an unbeaten season (38-0) by pinning Piedmont�s Landis Scoon at 4:36 for the 152 crown. For Collinsville, it�s the Cardinals� second straight championship, and Skiatook claimed its first title since 1987. - Borror bests 182 field: Piedmont�s Austin Cooley jumped out to an early lead against Coweta�s Talon Borror. But Borror didn�t let that last long, rallying to pin Cooley at 2:43 to pick up his third consecutive championship. Well, high school career, that is. Borror wrapped up his senior varsity stint at 38-2 and now will head to Norman and join the Sooners. - Hicks prevails for Durant�s 1st title: Durant�s Cody Hicks trailed early on, but he rallied for a 6-4 win over Glenpool�s Gage Hight. Now Hicks will forever be known as the first Durant wrestler to win an individual championship for the Lions. And he celebrated accordingly by jumping into his brother�s arms. -- Other 5A champions included Altus� Kobi Gomez (138), Lawton Mac�s Christiain Maldonado (170) and Matthew Santos (195) and Duncan�s Hunter Jump (160), a former champion at Lawton Mac before moving to Duncan. 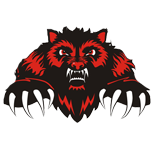 Piedmont�s Josh Heindselman, named 5A's most outstanding wrestler, also picked up his second state championship at heavyweight by pinning Lawton Mac�s Montana Phillips at 3:13. If there�s ever a constant about Class 6A, it�s that the teams like to pass around the team championship. 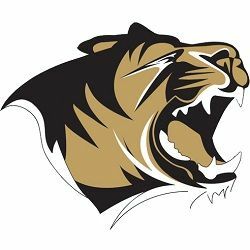 Sure enough, it was Broken Arrow�s turn again with the Tigers claiming their first crown since 2015. Broken Arrow was the lone 6A team to crack the 100-point barrier and compiled 158 points by weekend�s end. Mustang was second with 96, and Choctaw was third at 75. The Tigers� Jackson Cockrell (113) and Jared Hill (120) both lost in the finals before Reece Witcraft registered Broken Arrow�s first individual title at 132. Witcraft toppled Owasso�s Zeke Washington -- for the second week in a row -- with a 6-3 decision for his second straight state championship. Broken Arrow sophomore Emmanuel Skillings (182) nabbed his first championship with a 5-1 victory over Owasso�s Taylor Fleming, and then Zach Marcheselli (220) etched his name into the Oklahoma record book with his fourth state championship. He made history by beating Edmond North�s Jake McCoy 10-4 in his final varsity match. For Broken Arrow, that�s now two four-time state champions after Brandon Tucker accomplished the feat from 2000 to 2003. - Mustang crowns 4: Mustang threw the biggest party on the outskirts of the 6A mat inside State Fair Arena on Saturday night. It had been since 2005 that the Broncos snared an individual state championship, so Mustang made sure to celebrate accordingly for each of the four titles. Tucker Owens (113) claimed Mustang�s first title with a 9-0 victory over Cockrell of Broken Arrow. Then John Wiley, the No. 4 seed out of the West Regional, picked up a 5-1 win over Stillwater�s Carter Young for title No. 2 for Mustang. 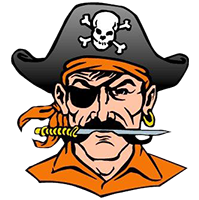 Tate Picklo followed at 160 and pinned Putnam City�s Rene Martinez to cap off an unbeaten 43-0 season. The Broncos� final state title was courtesy of Judson Rowland and his last-second, 11-10 win over Deer Creek�s Carson Savage. -- Choctaw claimed three individual championships. 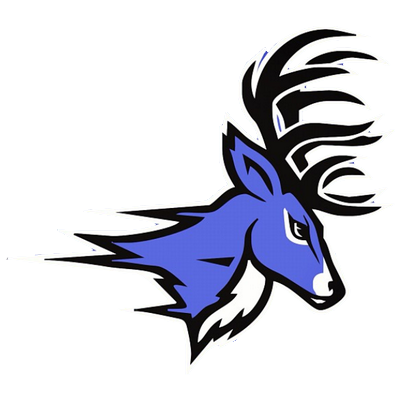 Coleman won at 170, Gabe Johnson (145) knocked off Deer Creek�s Micah Lugafet, 9-4, and heavyweight Marquonn Journey beat Jenks� Caleb Orr, 3-1. 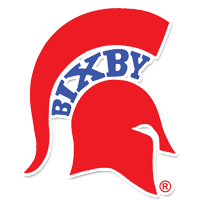 -- Bixby�s Zach Blankenship: Won the 120 title as a freshman with a pin of Broken Arrow�s Jared Hill at 5:12. 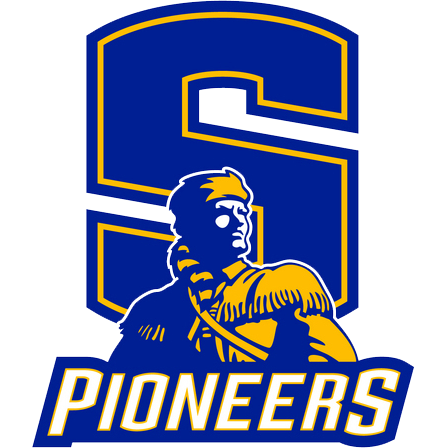 -- Ponca City�s Spencer Schickram picked up the 138 title with a 10-0 major decision over Broken Arrow�s Blake Gonzalez. -- Jenks junior Drake Vannoy picked up his second championship by beating Sand Springs� Scott Patton, 5-1.